The Way of Tea can be reduced to whisking tea and drinking it. But by whisking and drinking tea in a set manner you create an act of harmony. At the age of 12, Ueda Sōko served Niwa Nagahide as a page (servant to samurai and elite members of society). All aspects of the conduct, speech and grooming of pages was beautifully refined, in part due to the influence of Western missionaries in Japan at the time. The social climate of the Warring States Period (Sengoku) was one of turbulence where the elite could suddenly be usurped by people of lower social status. Because of this, a great emphasis was placed on etiquette as an attempt to consolidate the social hierarchy. This demand for strict accordance to etiquette was unprecedented. It became so important that those who didn’t master proper etiquette couldn’t get anywhere as a samurai. The tea ceremony was established as the leading artistic and cultural pursuit in Japan during the Warring States Period. It was a time of constant warfare and the samurai didn’t know whether they would continue to be alive from one day to the next. The only thing that was certain was the ‘I’ that exists in the here and now - the fact that at this moment I am whisking tea; at this moment I am drinking tea. The fleeting nature of life pervaded the conscious experience of the samurai. 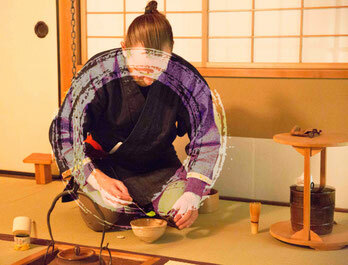 The samurai did not build their tea aesthetics on this realisation of life’s fragility. Their aesthetics penetrated deeper to an original stillness lying beyond life and death, the stillness that is the very ground of being. This is where the true self springs from. 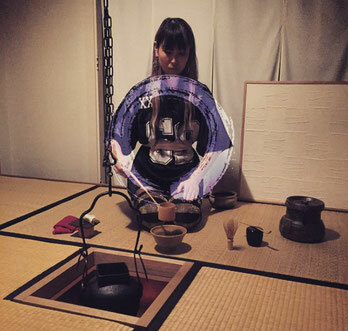 The temae and the set forms of etiquette in the tea room exist to facilitate an awareness of this unshakeable self. We now live in a time where most of the world lives free of the threat of daily conflict. Even so, we cannot free ourselves of the psychological turbulence that accompanies our interactions within society. This is the point where we share an emotional connection with the samurai. People that come to study the Ueda Sōko style of tea endeavour to transcend the stresses of the world and bring a greater stillness into their lives. This stillness endures in everyone’s heart, it just needs to be reclaimed. The Way of Teas a tried and true way of bringing something of the eternal into our transient lives. At least that’s the way I interpret it.